Just like when your boss makes his rounds and you need to look busy, Jesus sees all. You better get to work on yourself! He is watching you, you better look busy! 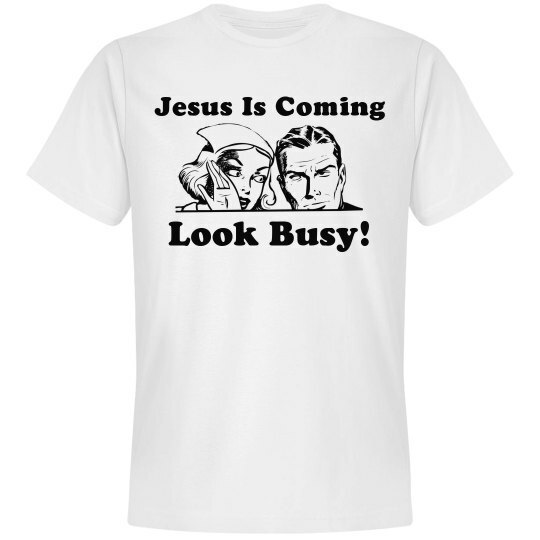 Custom Text: Jesus Is Coming | Look Busy!